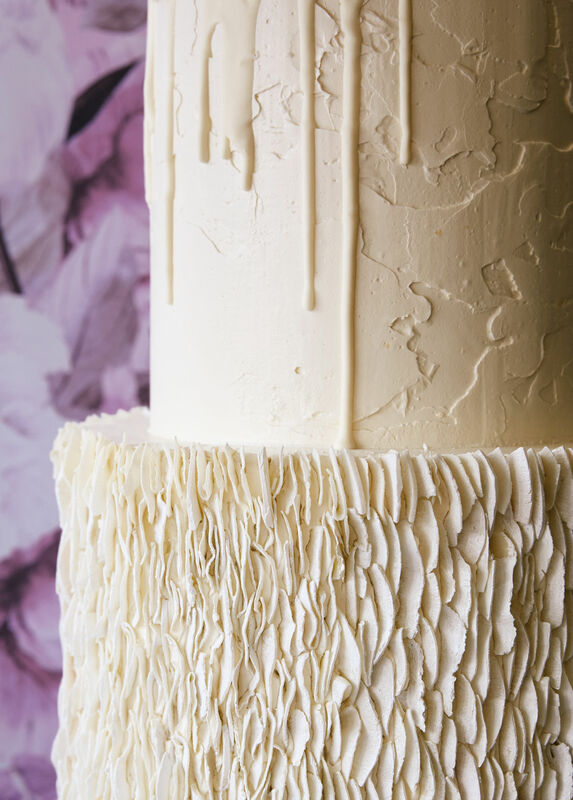 We tasked four marvelous local bakers to imagine a world filled with crisp, white cakes embellished with ruffles, patterns, and glazes to pop against geometric backgrounds for modern, playful celebrations. 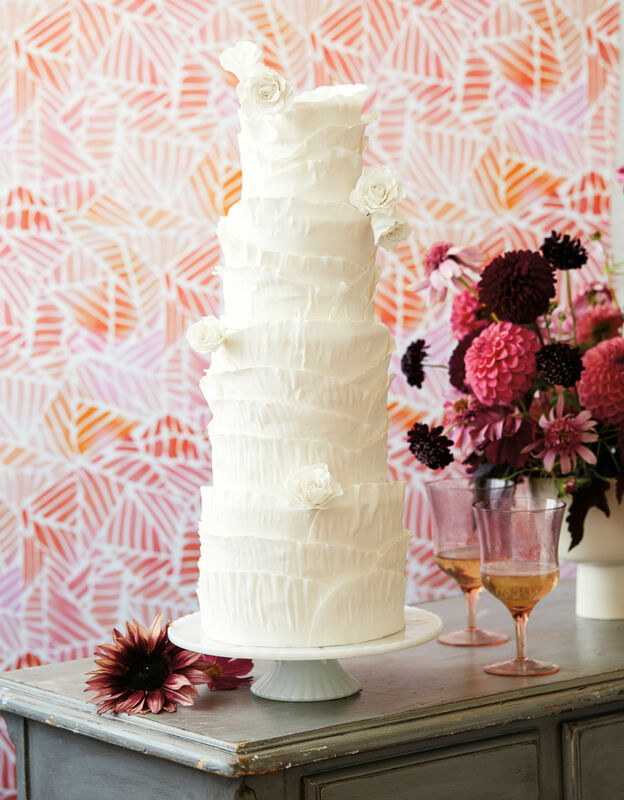 Christina Kim Mathis of Blue Box Bakery decorated this towering, four-tier dream of a cake with cascading feathered ruffles and sugar roses. The interior features a vanilla hazelnut cake with chocolate hazelnut mousse ($12/slice). “A dramatic interior to offset the bright white,” she says. 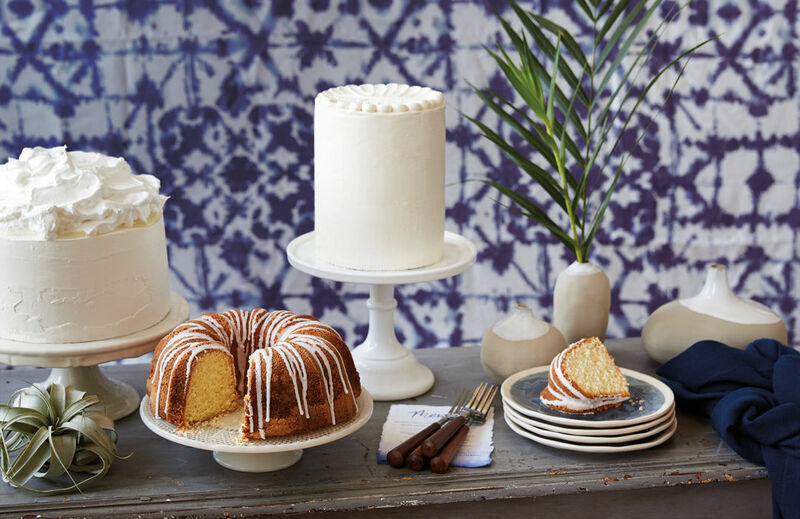 White glass cake stand, call for pricing, Deep Sea Sugar & Salt; rose bubble glasses, $18 each, Anthropologie; dahlia bouquet, $200, Sauvage Fleur; white ceramic vase, $88, Notary Ceramics; antique table, call for pricing, Vintage Ambiance; removable wallpaper, Coloray. 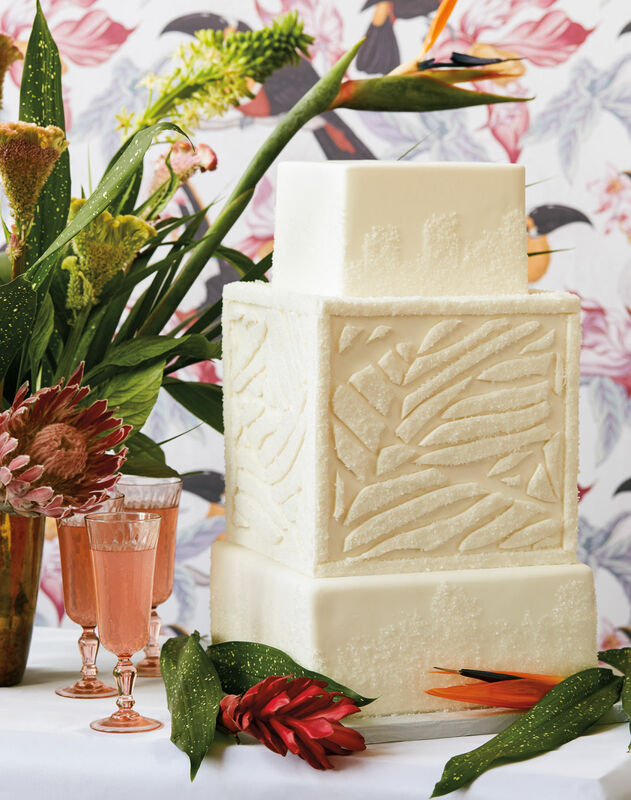 Kevin Moulder of Cubes Baking whipped up this formidable three-tiered square stunner (call for pricing). The slice you see here is vanilla with a marionberry and blackberry filling. 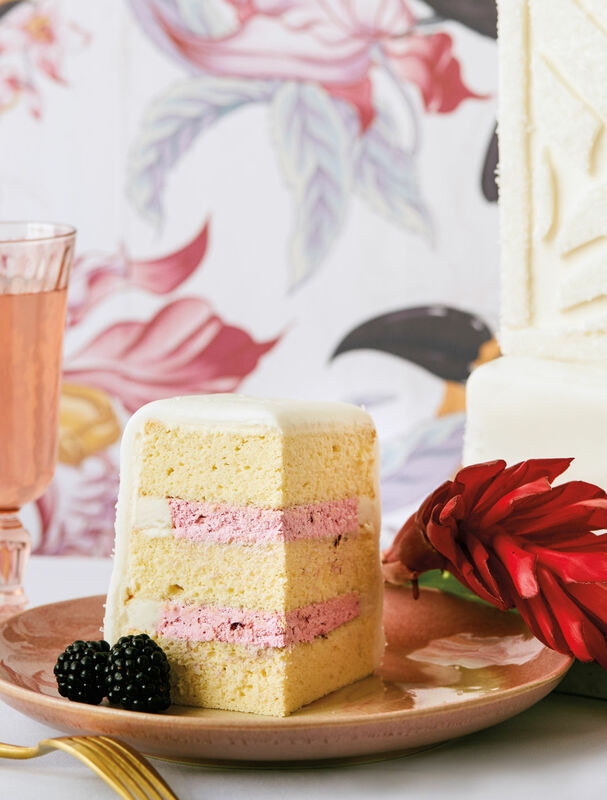 Opposite page: removable bird wallpaper, $8, Think Noir Wallpaper; lavender topaz tablecloth, La Tavola Fine Linen; flower arrangement with bird of paradise and protea, call for pricing, pink short-stemmed wine glasses, call for pricing, both Sauvage Fleur; JANKNG gold fork, $28.99/five-piece set, Amazon; pink dessert plates, $16, Anthropologie.